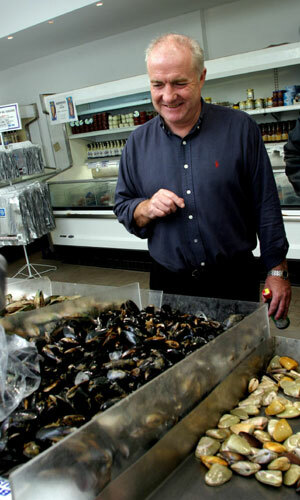 Watch BBC’s “Rick Stein’s French Odyssey” now for free online on WOWtv! Click HERE for more information. 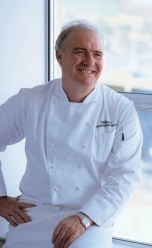 Starting at the mouth of the mighty Girdone River in Bordeux, award-winning chef Rick Stein embarks on a trip that everyone would love to take – along the rivers of Southern France, sampling the local culinary delights on the way. In this series, Rick’s new home is called Rosa – an eighty-year-old, hundred foot long barge which has been doing the trip for the best part of thirty years. The barge’s captain, Bernard, is a good man to have aboard, not least because he knows the best bars, wine producers and restaurants along the 800 kilometre journey. Rick is on a gastronomic odyssey to find all the glorious food and wine that France can offer – from eels in cider and buckwheat galettes to entrecôte bordelaise and shad grilled over vine trimmings, sarladaise potatoes fried in duck fat with garlic and parsley, snails Languedoc style and La Bourride, and an epic Bouillabaisse at L’Epuisette a restaurant on La Corniche in Marseille. Watch the “型男大主厨 Manly Chefs” now for free online on WOWtv! Click HERE for more information. Watch BBC’s “Ainsley’s Gourmet Express” now for free online on WOWtv! Click HERE for more information. With the hectic pace of modern living, many of us find it hard enough to get time to eat, let alone cook for ourselves. Ainsley’s Gourmet Express, is a fun guide to do-it-yourself fast food. The popular chef, with the big personality, whisks up a mouthwatering medley of dishes from around the world, all easy to prepare, and bursting with flavour and nutrients. There’s food for family and friends, for special occasions and romantic dinners for two, for alfresco dining and even for cooking on holiday. With inspirations and demonstrations from several of London’s top chefs, and smart takes on global cuisines, the action never stops in this mesmerizing series. But before you can cook you need ingredients, so first Ainsley goes shopping at markets and delicatessens. For inspiration, he talks to cooks and restaurateurs, then after a session in the kitchen, he sits down to enjoy the meals he has prepared with friends and family. Ainsley’s cuisine is inspired by everything from the fast-fry dishes served from hawker stalls in Asian markets, to the swiftly sliced sushi of busy Tokyo. He plucks the speedy-serve ideas from Italy and Greece, too. Most of all, Ainsley focuses on fresh, uncluttered, stylish food, that impresses on occasions but doesn’t leave the cook slaving over a hot stove when the guests have arrived. After all, who wants to be making beef just instead of sipping martinis? Watch BBC’s “Ainsley’s Gourmet” now for free online on WOWtv! Click HERE for more information.